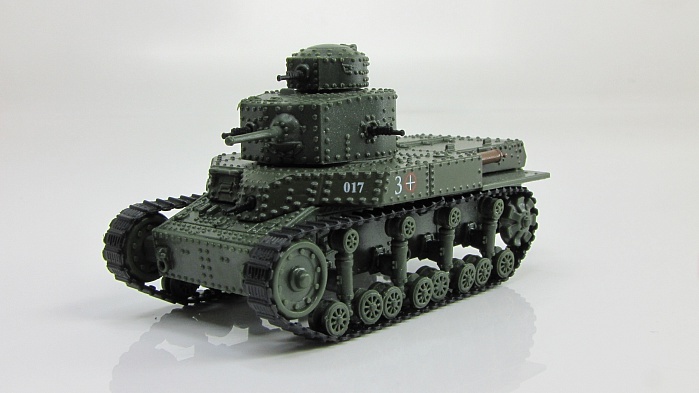 The T-24 was a Soviet medium tank built in 1931. 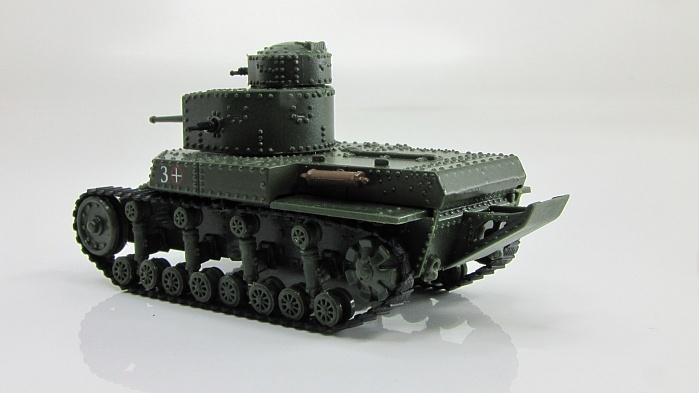 Only twenty-four tanks were built. 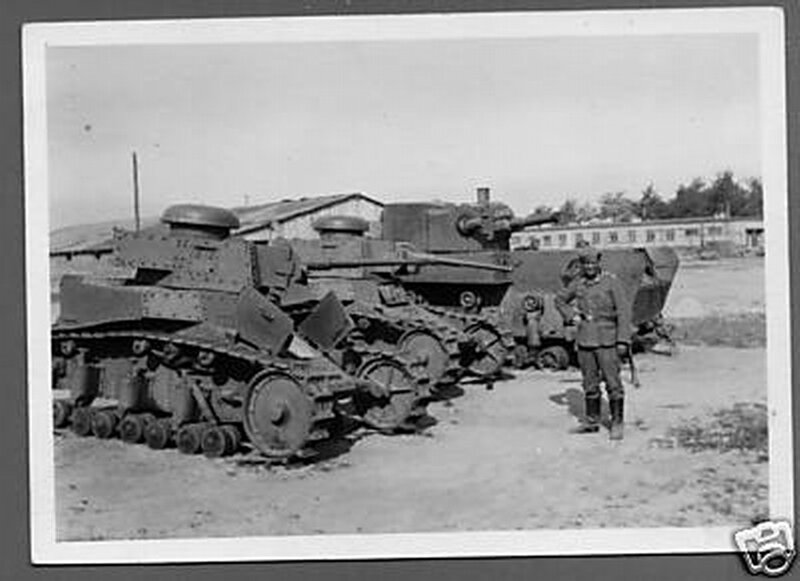 This was the first tank produced at the KhPZ factory in Ukraine, which was later responsible for the very successful T-34 and T-54 Soviet tanks. The T-24's suspension was used successfully in the Soviet Union's first purpose-built artillery tractors. 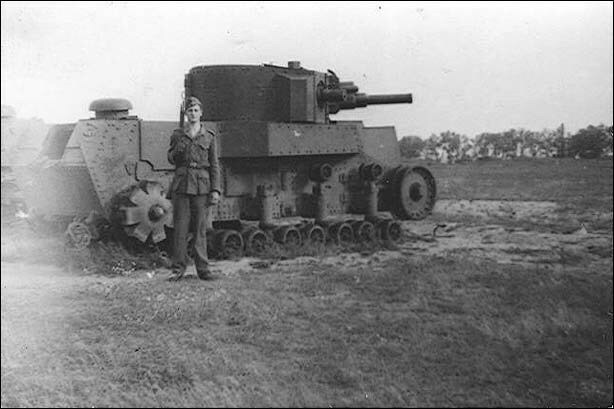 The T-24's main armament was a 45 mm gun. It had a ball-mount 7.62 mm DT machine gun in the hull, another in the turret, and a third in a secondary turret atop the main turret. 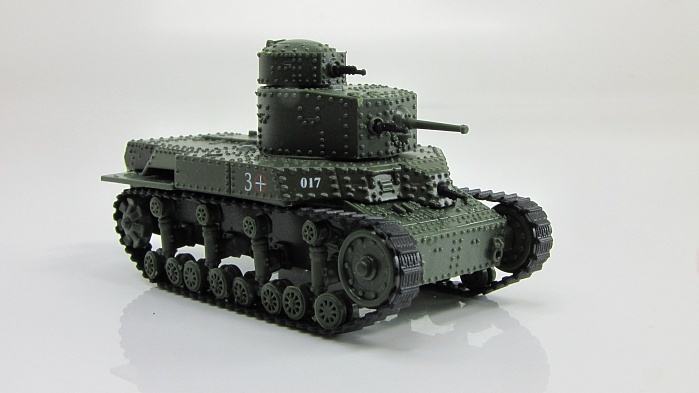 The tank was well-armoured for its time, but suffered from problems with the engine and transmission. 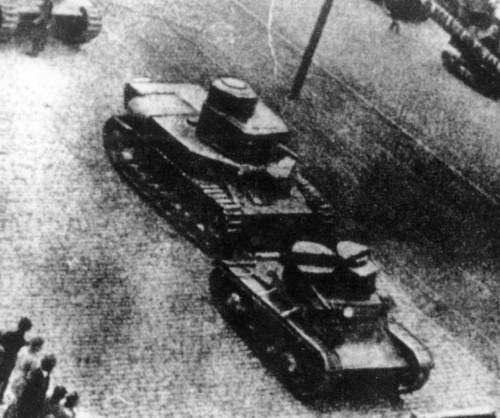 Produced tanks remained in service until the end of the 1930s, and then were transferred to the armament of the fortified areas, where participated in the fighting.